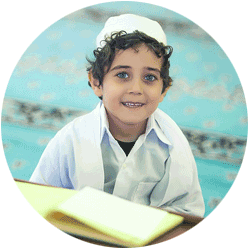 Everything you need to know about teaching in the Land of the Crescent Moon. Turkey is culturally and geographically fascinating, with cities that are built up in historic layers on top of maze-like streets and small alleys. You’ll find beautiful monasteries and mosques, ancient ruins, odd rock formations, and a Mediterranean coast, not to mention wonderfully friendly local people. It also has the awesome quirk of spanning two continents, letting tourists touch both at once both literally and metaphorically. For culture vultures and social butterflies, there is much to be sought out and the discoveries can be unique and extraordinary. Expect a rich cultural adventure with a mix of old, new, and everything in-between. Turkish is the official language, but you’ll also find a mix of Kurmanji, Arabic and English spoken on the street. A mix of hot, dry Mediterranean climate in the south, with wetter, cooler temperatures in the east and north. 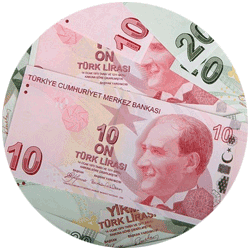 Wages in Turkey can be a bit trickier to ballpark than some other destinations. This is, in part, due to the cultural expectation that you will negotiate a bit for your pay if you are hired directly by a school or center. It is also, in part, due to the major industry language chains like Berlitz, English Time, Wall Street English and other large companies that have a presence in the big cities making hourly pay adjustments routinely or paying workers differently based on experience, qualifications, or negotiation skills. As a rough figure, at language centers the pay can range from $500-$1000 per month, whereas at universities the average is closer to $800-$1200 per month. While teaching here might not bring enough salary to make you wealthy, it is easily enough to support a decent lifestyle within the country, even if you are just getting an entry level position in a commercial chain. Turkey has a bit of everything, whether you want to live in a live in big and bustling city or a more laid back life by the Mediterranean. For history lovers, Istanbul may just be the coolest place in the world. Where else can you visually study successive empires from the Greeks, to the Byzantines, to the Ottomans, in a short afternoon walk? Luckily for all us nerds, most of the employment opportunities in the country are also here. For many teachers, the appeal of Turkey IS Istanbul, and the city does not disappoint in terms of the experiences on offer. You can spend hours in museums, viewing mosques and palaces, walking alleyways (which are quite safe during the day), or heading to the Prince’s Islands for a picnic on the Marmara Sea. Ankara is the capital of the country and a hub for government employees. Some locals may say it is more boring than Istanbul, but many prefer a bit less color and noise. It is also noted by locals as a very convenient place to live, and teachers who dislike long commutes may find this an adequate reason to consider the city over Istanbul. Want to live on the Mediterranean, but with fewer tourists than neighboring countries? These cities are becoming more popular with teachers and for good reason. The weather is much more pleasant than in more Northern cities like Istanbul and Ankara where Winters can be long, wet, and very cold. These cities are also slightly less competitive for job placement, at least for now, and rank slightly better in terms of affordability when compared with Istanbul or Ankara. Some people colloquially call this Turkish pizza, but while it may resemble pizza the taste is very different. 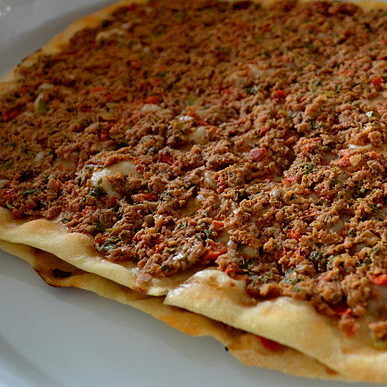 It is made with flatbread topped with ground meat and citrusy salad. 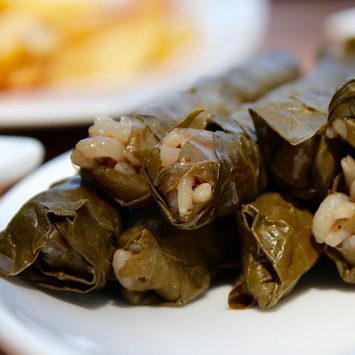 These are vine leaves stuffed with rice and sometimes meat. The name can also be used to refer to other stuffed vegetables, with peppers used as a popular substitution. 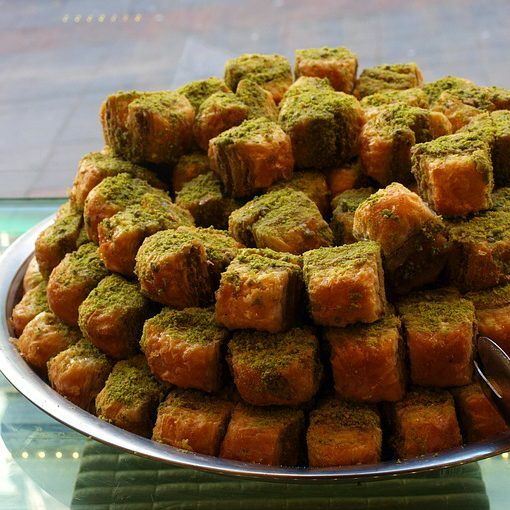 You may have eaten Baklava outside of Turkey, but there are infinite variations of the classic filo and walnut pastry within the country. Everybody’s parents in Istanbul make this dish at home and everyone’s home recipe is just a little distinctive. One of the first requirements in Turkey is just to show up. Jobs will often go to prospective teachers who are residing in the city already. So be ready to find a job in person. Sometimes the visa situation can be tricky in Turkey, and some schools may opt for an extended probation period before they make the jump to getting you registered. In some case schools may opt to skip the visa process and ask teachers to do ‘visa runs’ instead. However, this is illegal, so you should check with any schools that they do have the ability to apply for your work visa. If you have any suspicions about a school or institution, feel free to get in touch with us and we’ll let you know if the school or company has any red flags or positive reviews from our network. Teachers without degrees: It is possible to find work in Turkey without a degree, but larger schools do often prefer candidates with a degree. 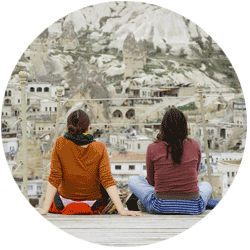 Get qualified to teach in Turkey!